Update: The show has been cancelled. Julie Feeney brings a special show, ‘Different Lights’, at Vicar Street on 26th September 2014. She will also play The Cork Opera House on Friday, 17 October. 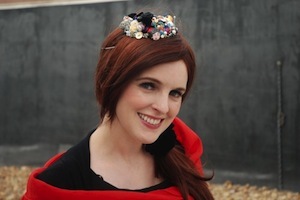 Julie Feeney’s debut album ’13 songs’ won ‘Choice Music Prize’ for ‘Irish Album of the Year’, and her second and third albums were shortlisted for the Choice Music Prize as well. Her opera ‘BIRD’ goes into full production next year. Tickets priced €28 go on sale this Saturday, 12th April at 10am.